Are subscription models a good way to pay for software? ... Or should the industry stick with the traditional pay-to-own paradigm? Cakewalk's membership scheme enables you to pay for Sonar on a monthly basis. Already proven in other sectors of the software industry, the subscription model seems increasingly to be finding favour with music application developers and publishers. Avid and Cakewalk are leading the way with Pro Tools 12 and the new Sonar, but could we eventually find ourselves paying a monthly fee to do the thing we love doing most, no matter what our production platform of choice? "I think this depends on the model. If a model is geared towards 'leasing' the software and a musician has the possibility of being 'locked out', I don't think it's a good thing. We've thought about this very carefully and come up with a 'membership' model where the user 'owns' everything once the software is paid for up-front, or after a period of 12 monthly payments - and we update the software every month. These new models mean that software can be more affordable as well as constantly current." "If you need to sell something as a subscription, it's a sign the up-front price has exceeded market expectations and values. Usually, subscriptions mean paying a lot more in the long run. After all, this is a pricing 'strategy'. Worse when the plan doesn't allow you to keep using the software you paid for if you quit the subscription. "Our Lifetime Free Update payment 'strategy' for FL Studio charges a reasonable, once-only fee, and then all future updates are included - no more to pay, ever! Now, that's a pricing strategy we feel good about." "It all depends on the subscription plan. Some are crafted so that the user is forced into the system whether they like it or not; others have monthly costs that, over time, build up. "We wanted to do it differently. We wanted to empower the user. The subscription is completely optional, and we're not forcing anyone away from our perpetual purchasing system. It's good for customers who want the freedom to pay for their plugins on their own schedule." "More than ever, artists, mixers, and other media professionals need flexibility in how they access their tools, and need to be more responsive to new opportunities. 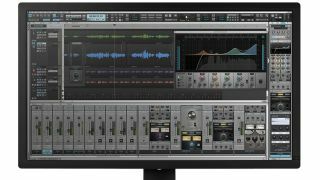 With Pro Tools 12, you can buy it outright as you always have, or subscribe - the choice is yours. "Each option offers advantages based on a customer's different needs. Subscription offers the lowest startup costs and is active only during the term of the contract. A perpetual license costs more up-front, but is less expensive in the long run." "Subscription plans are great for software companies, because they get to charge customers over and over for the same product. This might work for affluent studio owners and engineers, but DAWs are already a significant investment for working musicians and hobbyists. We've always tried to price Mixcraft affordably for musicians, and it has always come with free updates, inexpensive upgrades, and free online support."